Ever aware of its environmental responsibilities, Bardon Aggregates has stepped up its commitment to ensuring that water discharged from the treatment works at its Croft site in Leicester more than complies with Environmental Agency consent levels. The challenge faced by Bardon Aggregates is to ensure that the water used in washing the aggregate is treated effectively on site before discharge into the nearby River Soar. 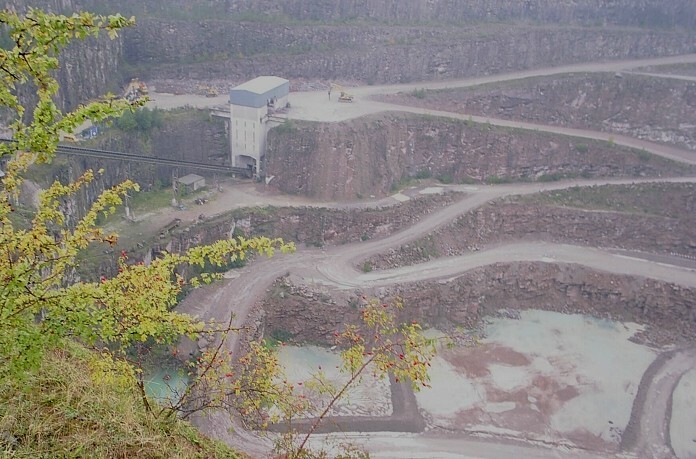 Historically, the Croft Quarry has always ensured that it has fulfilled its environmental responsibilities with regard to water treatment by operating a flocculation dosing plant in conjunction with the settlement lagoon. However, towards the end of 2003 the Company invested in a Partech Turbi-Tech 2000 Sensor and 7200 Monitor to constantly monitor Suspended Solids and Turbidity. The Company operates to a very tight discharge level of 30mg/l of suspended solids imposed by the Environment Agency, making continuous on-line monitoring the only way of guaranteeing that it does not break consent levels. Before the introduction of the Partech equipment, the company did take regular samples for analysis, as did the Environment Agency. However, this did not provide a real-time picture. It also meant that control of flocculent dosing was inefficient. Before introduction of the Partech Suspended Solids Monitor, Croft Quarry’s flocculent dosing system was wholly reliant on flow measurement for it’s control. Typically flow is 50 l/sec and the dosing system is setup to increase the amount of flocculent if the flow increases and reduce flocculent dosing when the flow decreases. This method of control does not take into account the amount of suspended matter in the flow, this can lead to problems with the quality of the effluent. Using the Partech Turbi-Tech 2000LS Sensor and 7200 Monitor, Bardon Aggregates has a constant indicator of the levels of suspended solids within the treatment lagoon. The Turbi-Tech 2000 sensor, which uses 90º infrared light scatter as its measuring principle, is suspended in the lagoon and connected to the 7200 Monitor located adjacent to the sampling point. It is a self-cleaning system, which means that its optical surfaces are kept clean without the need for routine manual intervention. The 7200 Monitor is designed for external locations and features a large character display of the measured value combined with a scrolling information bar showing instrument status. The complete measurement system is linked to the main control room at Croft Quarry from where management have a constant overview of what is happening within the treatment plant with regard to the effectiveness of the flocculation process. Armed with this information, immediate and accurate adjustments can be made to the flocculent dosing system, which in turn optimises use of the flocculent agent. Bardon Aggregates reports that the installation of the Partech Suspended Solids monitoring system has been a key element in it maintaining its very demanding discharge consent levels and is proving to be a most effective tool in the management of the flocculation process.